More Stories About "The Test"
Standardized Testing: Be the Widget! High Quality Common Core Resources for Free! 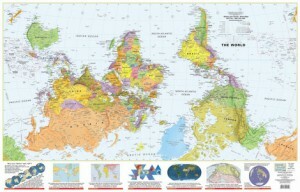 Several months ago I mentioned a world map that features a thought-provoking and truly interesting projection. South is at the top. Every time I look at this particular projection I become more impressed with its ability to challenge my thinking and to arouse curiosity about my neighbors on planet Earth. 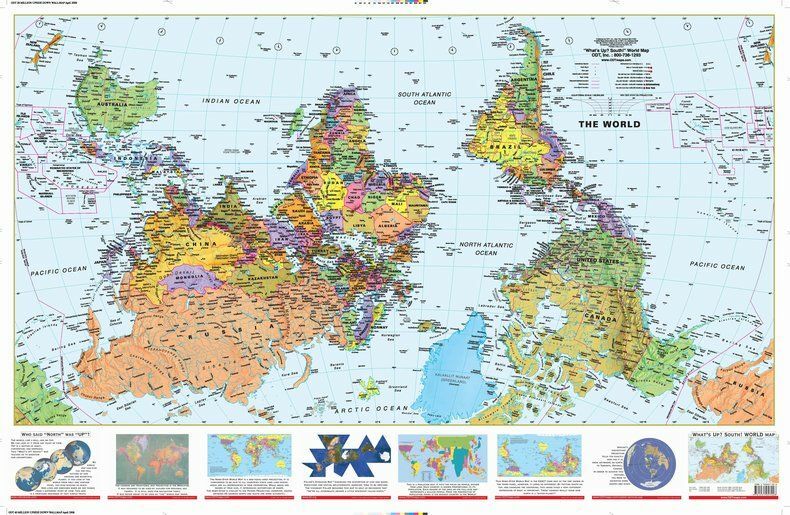 All I ask in return is that some day you’ll send me a follow-up email to let me know if your class enjoyed the map and any other comments you may have about this thought-provoking resource. That’s it. I feel strongly that resources like this are under-used and that teachable moments are lost in their absence. If you’re one of those teachers who constantly pushes for higher achievement, then be sure to step up and let me know that you want your classroom to be one of the beneficiaries of this one-time, free offer. Update: The last map has finally been given away. Thanks to everyone who responded.